The Toronto singer/songwriter/guitarist, has been creating virtuosic, burning blues since his recorded debut in 1998. 12 releases and numerous awards and ecstatic accolades later, Gomes shows no signs of slowing down with his latest musical offering being his most successful to date. 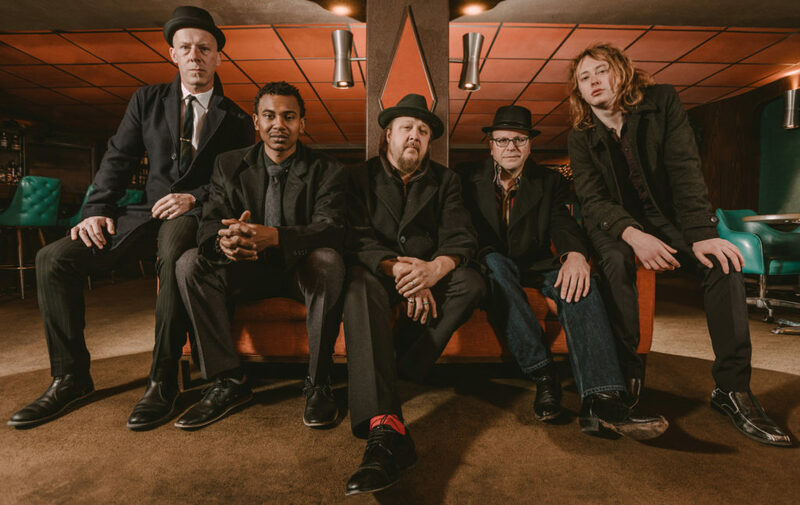 The aptly-named riff-laden Electric Field Holler crackles with bare wire passion and has received highly acclaimed recognition; reaching #1 on Roots Music Report’s Blues Rock Chart, hitting #1 on ReverbNation’s Global Blues Chart and earning several nominations for Blues Rock Album of the Year. Gomes’ instinctive mastery of his craft is matched by his knowledge of and dedication to blues history. He is an award winning blues history scholar, earning the University of Toronto’s C.P. Stacey Award for the highest overall academic grade point average by a history student. Anthony also completed his master’s degree thesis on the racial and cultural evolution of blues music, graduating with high distinction. In 2014, his thesis was published and nominated for the Best Blues Book of the Year by Blues 411. 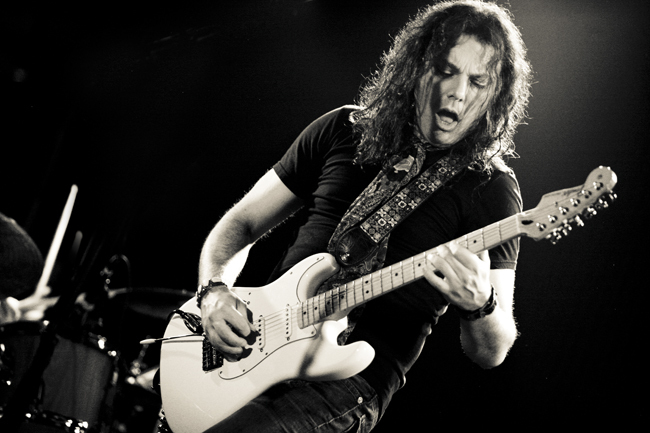 Born in Toronto, Canada to a Portuguese father and a French-Canadian mother, Gomes began playing guitar Gomes in his early teens and was drawn to the blues sounds of B.B. King, Buddy Guy, Eric Clapton and Jimi Hendrix. He relocated to Chicago in the late ’90s to learn from the blues masters. During his brief stint as a sideman for Magic Slim and the Teardrops, Gomes put together his own group and won the first annual Buddy Guy’s Legends “Best Unsigned Blues Band” competition in 1998. Later that year, Gomes released his debut CD, Blues in Technicolor, which introduced him as a guitar-slinger loaded with impressive firepower. On 2002’s Unity, he accomplished the album’s title with a heavy mix of styles leading Bandit Blues Radio to name it one of the “Top 30 Essential Blues Albums” of all time. 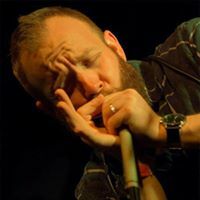 Gomes was elevated to the top of the blues field just one year later when BluesWax Magazine named him “Artist of the Year,” a nomination he would claim for several years in a row due to his endless commitment and touring. Music Is the Medicine (2006) peaked at number four on the Billboard Top Blues Albums chart, only to be outdone by LIVE (2008) debuting at number one. Anthony’s Up 2 Zero (2012) album was named the “Best Blues CD of the Year” by A1 Blues and Blues Underground Network voted it the “Best Blues Rock CD of 2012.” The accolades continued in 2013 with the release of Gomes’ gusty acoustic album …Before The Beginning with Blues 411 honoring the release with the “Jimi Award” for best Blues/Rock CD of the year. Electric Field Holler, Anthony’s latest offering, is his most rock influenced album to date. The lead off track, “Turn It Up”, and its lyric “I’ve got a blues soul and a rock n roll heart” captures the spirit of the album. Anthony describes it as having that “youthful attitude” that makes it raw, thrilling and shameless… Take it or leave it. From the heavy hitting, guitar roaring “Back Door Scratching” to the mythic, autobiographical “Blueschild”, Gomes delivers a sensory roller coaster of instrumental, vocal and musical range. He sings with an integrity that exudes deep emotion, in the pulsing “Nowhere is Home” right through to the closing, apocalyptic “Listen To The Universe”. Blues Rock Review, Roots Music Report, Confessing The Blues and Blue Monday Monthly have featured Electric Field Holler in their Top Blues Albums of the Year, proving that Blues and Rock n Roll can not only co-exist, but the lines can be blurred between them to create a blazing cathartic experience radiating therapeutic heat for body and soul.